a recent post from a bride with her dad on her wedding day touched me this week. fathers and daughters have such special bonds and it totally comes out during wedding days. through the defiance stage of high school days, to guidance in buying a first car or fixing that car, fathers are the men whom we often try to find similar qualities in our spouses. 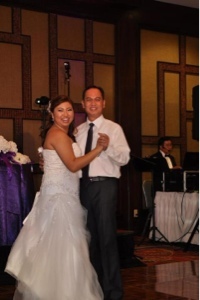 many people incorporate an ode to dad during the father-daughter dance. below are just some of my favorites! ges - the inspiration of this post! mina and her dad choreographed an entire swing routine to "heaven must have sent an angel". it was absolutely flawless and fun! jacqueline's dad is the friendliest man with so much love for his friends and family, especially for his daughter. my special moment with my dad. 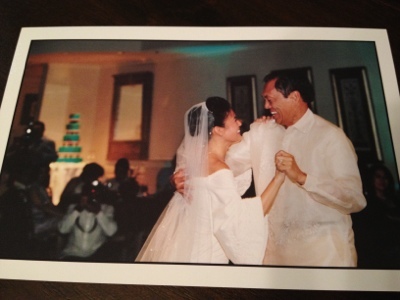 i love how i wore my mother's wedding gown during this dance with him. angel with her dad. i love how chris watches this tender moment from their sweetheart's table. and of course, chris, wanted his own moment with his new dad. haha! such mad love for dad!